Leptotrichia wadei Cas13a with a His-Tag and a SUMO-tag for protein purification. 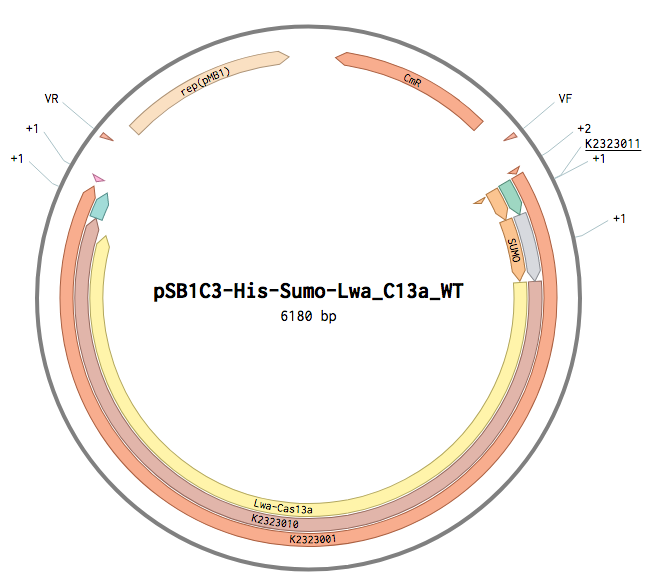 Uses a 6xHis/Twin Strep (BBa_K2323011) to allow purification and a SUMO-tag to improve solubility (BBa_K2323012) and as a cleavable tag of Lwa Cas13a ((BBa_K2323000)) for in-vitro use. For characterization, see the full construct: BBa_K2323004.